The Game Developers Conference (GDC) is the largest annual gathering of professional video game developers. London Games Festival is an annual video gaming festival for both consumers and trade specialists held in April each year. Pocket Gamer Connects is the conference series held by Steel Media, the world’s leading mobile game publications. In May of each year, Krakow, Poland holds the most famous game industry festival in Eastern Europe - Digital Dragons. E2W, as an agent, is committed to introducing premium games worldwide, striving to provide Chinese players with high quality and fun indie games. At Gamescom, CEO Ray and VP of business development James Seaman discussed cooperation with overseas developers. 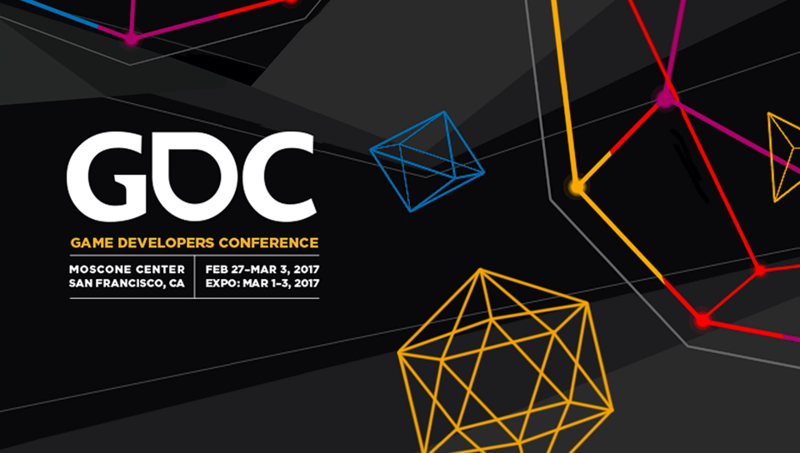 The Game Developers Conference (GDC) is the largest annual gathering of professional video game developers. The event includes an expo, networking events, awards shows such as the Independent Games Festival and the Game Developers Choice Awards, and a variety of tutorials, lectures, roundtables and etc. East2west Games is the regular attendee of GDC each year. We meet friends, partners, look for new games during the 5-day event in the Moscone Center, San Francisco. Besides, as East2west Games has opened a new office in San Francisco, East2west Games looks forward to meeting more game developers there. London Games Festival is an annual video gaming festival for both consumers and trade specialists held in April each year. 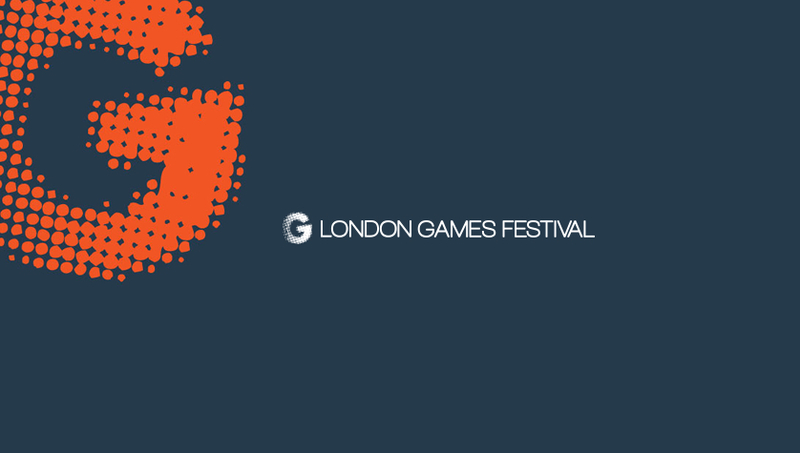 The Festival is part of Games London and it includes 15 official events across 10 different venues in the city. 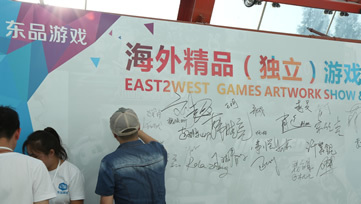 East2west Games, as the member of Ukie (UK Interactive Entertainment), is invited to attend the festival each year. Especially in the year of 2017, E2W was invited as the guest of honor by British Academy of Film &TV Arts (BAFTA) to present in their award ceremony. Pocket Gamer Connects is the conference series held by Steel Media, the world’s leading mobile game publications. It is held in London, Helsinki and other cities on different months of each year. Over 10,000 delegates have so far attended Pocket Gamer Connects conferences. During Jan. 16-17, 2017, August Hu, BD Director of East2west Games attended PGC London. There he had fruitful talks with developers from UK and other countries and finally several agreements have been reached following this event. East2west Games has years of cooperation with many developers from East Europe, like 11bit, iDreams, Madfinger, Amanita Design and etc. So Digital Dragons is the event East2west Games would go every year. In the year of 2017, besides meeting old friends, East2west Games also made new friends there. E2W, as an agent, is committed to introducing premium games worldwide, striving to provide Chinese players with high quality and fun indie games. With the company's years of experience in distribution and brand reputation, it has partnered with more than a dozen well-known game companies or studios around the world. 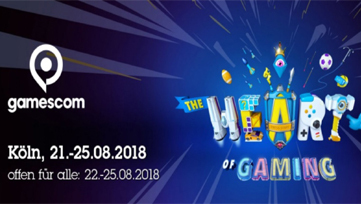 At the same time, E2W goes all over the world every year to participate in well-known game exhibitions such as GDC, PAX Prime, E3 in the United States, Cologne Gamescom in Germany, Gstar in South Korea and Tokyo Game Show (TGS). The Nordic Game Conference 2017 was held in Malmo, Sweden from May 17th to 19th. As China's game publisher with outstanding performance, E2W dispatched business executives to participate in the discussion and cooperation, and reach cooperation agreements with a number of companies to sign well-known games. In this professional and senior gaming conference, over 2000 renowned game exhibitors shared their knowledge, projects and passion. The conference provided chances for a new generation of game makers worldwide who have innovative ideas. 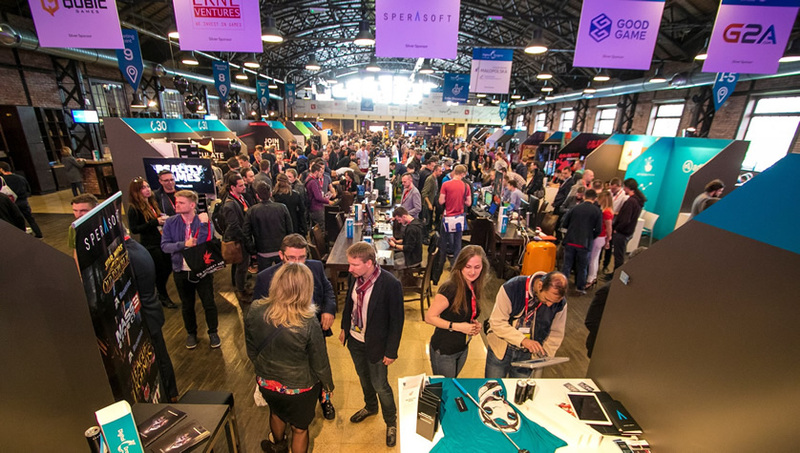 This conference linked a series of gaming companies, global investors and world gaming companies and helped excited partners find potential projects. On the last day, in addition to memorable speeches planned for Discovery Day, there were 40 "freshest" games on display at Discovery Show. Numerous games are presented on the stand, and the most brilliant game was finally selected. There was an exclusive community with the latest Nordic games and industry updates. The Nordic Games Show 2018 will be held in Malm, Sweden from May 23rd to 25th, and E2W looks forward to meeting more game developers here. The E3 game show, Tokyo Game Show and Gamesom are always been highly concerned. Many game developers brought a number of high-quality games and game news on Gamescom, VR and AR games are also gradually become popular on the show. As the top game publisher in China, East2west also participated the show, the 10 people team is made up of VP of business development, technology and publishing team. On Gamescom, CEO Ray and VP of business development James Seaman discussed about the cooperation with overseas developers, CTO Robin and technical team communicated with exhibitors on data analysis, tools optimization, game engine and etc., also the VP of Publishing, COO Bill and publishing team communicated with the attendees of Ironsource, UPLTV and products around games. 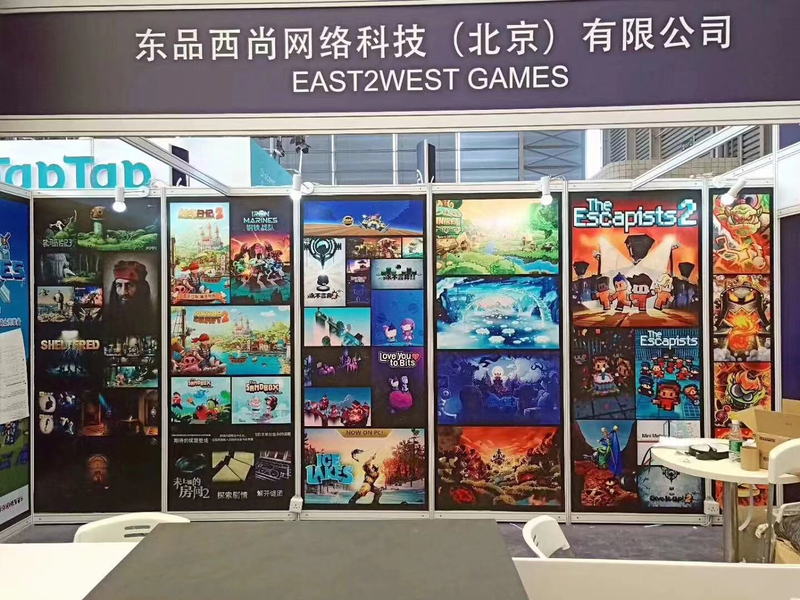 In the end of the show, East2west visited several indie game developers and communicated with them about game publishing and policy in China. Also developers shared their plans and experience in game development. As the saying goes, "Golden September and Silver October, Struggle in the End!" Top game recommendations cannot stop. On July 27th, 2017 the Overseas Artwork Show and Party was hosted by East2West Games in Shanghai. As we all know, from the second half of 2016, indie games were increasingly valued by various manufacturers. 9Game is the game brand under Alibaba. It’s the leading Android channel in China, and the gathering point for high-quality players. China Joy is the biggest game exhibition in China, with up to 500k attendees from over 30 countries. Both the 2017 Annual Partner Conference and the Golden Exclamation Mark Award were held in Nanjing. The 1st IGS (International Game Show) was held on April 22nd, 2018, for 3 days at the Western China International Expo City in Chengdu. The 16th Game Project Trade Fair was held by YouxiVC and LTJJC in Shanghai on July 26th, 2017. The new game reception and party was held on August 3rd 2018 in Shanghai by East2west. Recognized worldwide, the 2017 TapTap Game Awards selected a list of the most fun mobile games released in 2017, based on 60 million tappers’ favorites via professional review and votes. As one of the most influential game media outlets, Game Gyro awards excellent games and enterprises to encourage entrepreneurs to keep going. Following East2West Games Artwork Show & Party in the 2017ChinaJoy and launch conference 100+ in Beijing Bird's Nest stadium, E2W will hold offline activity again on October 28th and 29th, carrying a large number of overseas famous indie masterpieces to Shanghai WePlay Game Cultural Exhibition. At No. W33, Uruguay Ironhide’s latest RTS masterpiece “Iron Marines”, "Botanicula", "Samorost3” and “Machinarium" developed by Czech Amanita Design, even the Square Enix’s sniper trilogy "Hitman Sniper", "Hitman Go" and "Deus Ex Go", as well as "The Room Two", "Love you to Bits", "Mini Metro" will be exhibited for experience. The other classic masterpieces "Give It Up", "Give It Up 2", "Granny Smith" and "Let's Create! Pottery" published by E2W will also be on stage. As the first participating domestic game exhibition, E2W has also elaborately prepared a number of gifts, such as commemorative game brochures, customized version of the game postcards, mouse pads, in addition to the most important activation packages of the legal games, redeem codes, packs, etc. As long as to find our staffs on site, a variety of packs and benefits of the future online games are also scheduled. At the same time, WePlay Game Exhibition will not only gather hundreds of competitive games around the world for experience, signings and other activities by other god-level guests in PC, Console Game and Board Game fields, and on-site interactive exchange by other god-level producer guests of “NieR: Automata”, “Silent Hill”, “Sonic the Hedgehog”, “Castlevania” and so on. The well-known game producers Koji Igarashi, Akira Yamaoka and others will also be present. The first experience of “Assassin's Creed Origins”, “Rainbow Six” and “Bloodstained: Ritual of the Night” and official hot sales and goods are waiting for you. 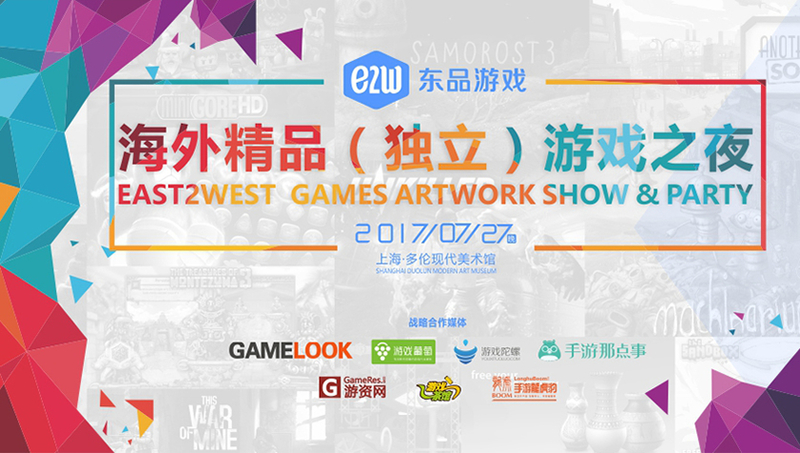 On July 27, 2017 Overseas Artwork Show and Party will be hosted by East2west Games in Shanghai soon. As a publishing company focusing on the introduction and agency of overseas premium games, E2W is devoting itself to discovering the most classic indie games overseas and localizing them to enhance the gaming experience and reduce the barriers for domestic players. Eventually, domestic players can play a wider range of different types of the world's most creative classic games. With several years’ experience, E2W has accumulated a large number of overseas products and developers resources. 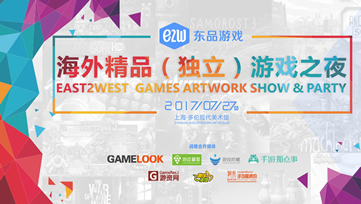 And coinciding with this ChinaJoy, we will host “East2west Games Artwork Show & Party” to exchange the premium overseas games. In addition to inviting a large number of overseas developers and domestic distribution companies to this event, dominant domestic channels and representatives from well-known overseas gaming companies such as Square Enix, 11bit and so on will attend this party. The party will also arrange dozens of video games demoes and experience areas. Besides, a digital art exhibition on the beauty of the games will be also on display in the same place for several days, and you are welcome to visit. So far it has been determined that gaming associations including China Taiwan, the United Kingdom and Poland will participate in this exchange party as groups. Time: 19: 00-23: 00, July 27, 2017. Strategic Cooperation Media: Gamelook, Game Grapes(游戏葡萄), Youxituoluo.com (游戏陀螺), Mobile Game Media(手游那点事), GameRes.com(游资网), GameTeahouse(游戏茶馆), Mobile Games of the Bold Three(手游龙虎豹), 4399. "New Overseas Classic, Fun Experience", Meet at Shanghai CJ, Witness the Beauty of Games! As we all know, from the second half of 2016, indie games were increasingly valued by various manufacturers. In addition to Steam, App Store, Google Play and other platforms enhancing support, Tencent Games, NetEase Games, Dome Interactive Entertainment, CMGE and other manufacturers have also launched support programs for indie games. Indie games seem to embrace hope in the spring. Is this spring really coming? 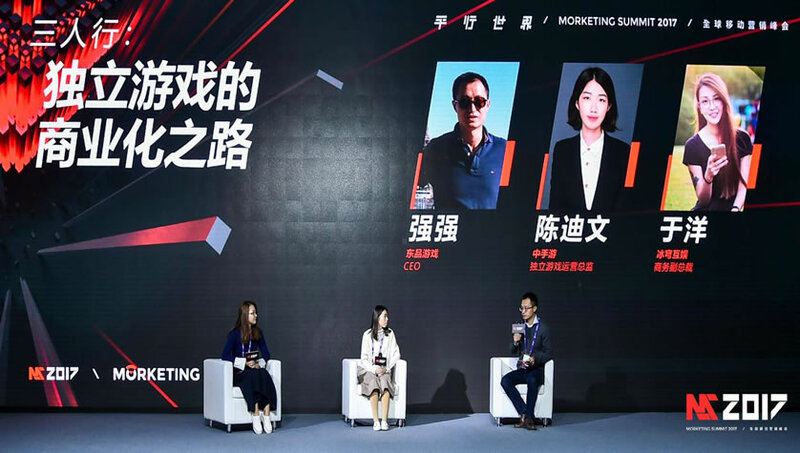 On November 30, in MS2017 Global Mobile Marketing Summit, Raymond, CEO of East2west Games, Chen Diwen, Operation Director of CMGE indie games, and Yu Yang, Operation Director of Dome Interactive Entertainment held a discussion about the commercialization of indie games. Raymond: Hello everyone, I am CEO of East2west Games. I am guest host and give a brief introduction to the leftmost beauty from Dome Interactive Entertainment, and they are the first publisher of indie games and did a very long time to explore. Sitting in the middle is Chen Diwen, head of CMGE indie games. Personally, I think they are very experienced. We develop indie games and distribution of six or seven years, and also have some of our own experience and ideas. Regarding the coming spring for indie games, how do you think about this issue? Yu Yang: Before 2016, indie games have not drawn the public attention. Basically there were more overseas games, but very few domestic ones. There is no particularly good case of distribution. In the first half of 2016, we launched “The Greedy Cave” in the industry which getting some buzz. In the second half of the year, this game got several features of Apple. Major manufacturers started some plans for indie games. I think spring should come. Chen Diwen: We are in hand of indie games layout in the second half of 2016, and now we have support program for indie games. A dozens of indie games got the features of Google and Apple, and so on. As to whether this spring is coming? Many people say that this year is the first year of indie games, and it may be indie game spring. But there are still many contents for everyone to further discover, do not just stay in the spring. Raymond: These two ladies are basically in indie companies to do big game distribution. I have been in an indie team for almost six or seven years. From seven years ago, I started to do indie game distribution, and now our scale is the smallest of these three, but our history is the longest. In my opinion, the indie game spring had its wave in 2010. Three to four years ago, the gradual entry of manufacturers led to bankruptcy or leave of these indie game developers. And later developers took the initiative to find us to talk about cooperation, so this is the second spring. There is a sense of mission that in this spring we must grasp it and go out of different ways, including some exploration for commercialization. There are also many commercial games on the market now labeled as indie games, how to define an indie game now? What are the characteristics and defects of indie games? How do you think about this issue? Yu Yang: Indie game is mainly the developer's spirit, and developers abandon the shackles and bring happiness to everyone. That is the pursuit of the original essence. Chen Diwen: I think there is no need to draw a clear distinction. No matter developers have strong spirit, we think that as long as it has a special game beyond market, and its art has its own indie features anywhere, this kind of games is considered indie game. Raymond: Although we are in the game industry, there is a saying called identification. In movie and music industry, there are some indie films, indie music and small mass films. I think the game is a bit like indie music, rock music, and a bit like small mass films. I myself used to have several labels for indie games. The first one was no money. I set it to under one million and 99% of indie games did not cost more than a million dollars. Because of the relatively small amount of money, developers need to innovate and take riskier projects. The big manufacturers are unwilling to do it. If the risks are greater, the innovation is greater and the team marketing is smaller, the rate of return varies greatly. We did a special art exhibition, with summing up at the time that how indie games become commercial while maintaining the independence, which is also an interesting topic. Yu Yang: I think, in fact, it can be commercialized. Just to find some easy ways for players to accept, unlike the online games to fully tap the user's payment points. Now players are getting smarter, so indie games first pursue quality, then players are pleasant to accept the mild payment. Raymond: Indie games and commercialization can exist at same time. Should they be well integrated and do you think they have positive impact on each other? Chen Diwen: The beginning of the game is because the real love of the game, hoping to make games to express their ideas. If there's no way the game can survive for itself or its team, its hopes will be short-lived. Raymond: I particularly agree. We had more than 200 indie games distributed to all over the world from 2012 to 2013. These more than 200 people are still producing indie games in the industry. Based on my thoughts, I first reserve. Indie game developers want to produce games emotionally, because they want to survive, even if they have common survival for families and teams, what are your commercial advice on indie games? Chen Diwen: Indie game developers are slowly aware that the commercialization of the game does not necessarily hurt the players. Game characters actually need to experience growth and bring the satisfaction to the players after growth, which can also be commercialized. For example, advertising and game contents of “Crazy Zoo” combined well. It allows users to watch ads, while developers and publishers getting benefit and creating a commercial balance. Raymond: In July this year, our company made an indie game show in Shanghai, inviting the global developers and Chinese publishers to discuss about some new ways to do indie game marketing and commercialization. We opened Press Conference in September in Bird’s Nest stadium, inviting developers from Uruguay. We are one of the innovative companies in indie games. These are our attempts and do you have tried to commercialize indie games? 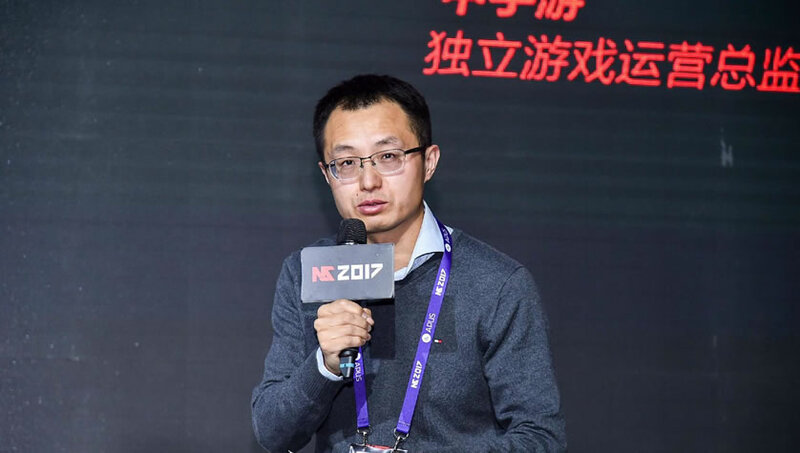 Chen Diwen: We just have supported program for indie games, which is mainly to support developer technology and market program to expand various channels through existing resources. We will do group testing in player base, official account and microblogging to circle out the indie gamers. Yu Yang: From 2016 we have our own set of support policies for indie games to provide developers with RP, office space and executive affairs. Raymond: To supplement our company's practice, in fact, we often talked with the developers about a few aspects that your games must be in the first one percent of the games. If two peasants’ cherries are very good, best level of a pound costs 50 dollars, while better level of a pound costs 25 dollars, which also can sell out. But the game industry is different, the best is very obvious. Your game is one hundredth weaker than the other, so 99% players will play the best level. A lot of marketing activities are based on the best games to help them produce the games well. Inviting team game producers from Shanghai, E2W controls of the quality of the game, which is the most important. Our company is still relatively small, basically makes the best original games with the original flavor, which is our current characteristics. Chen Diwen: Just talked about polished game. Distribution with more understanding of the market will be a great help to the development. As we often talk about in the game tide, the opinion for each version of the updates will promote the modification of the games, which is called the mutual promotion. Raymond: There is a slogan about business and games, ALPHA’s slogan is "Natural Fun". Would like to ask you about your own corporate slogan? Chen Diwen: Our slogan is very simple — “sincerely make a good game”. Sometimes sincerity and intention are important to both players and developers. Sincere communication with players and helping developers optimize their products are the best. Yu Yang: Our slogan is also very simple — "happy-based". I hope developers will not give up joy of the game and the pursuit of happy R&D games. Raymond: Our slogan is "New Overseas Classic, Fun Experience”, which means overseas games are destined to become classic and not only fun now, but also fun in the future. This game must continue to upgrade new contents or else it will become disposable. There is no way to become commercial in short-term, so we have to keep innovation. Do you have any suggestions on indie game developers? Yu Yang: Our identity as a publisher, what is the lack of indie games? Just about the lack of indie games, its life cycle is particularly short and how to make an indie game not to be daily disposable? However, in fact, an indie game is also a commodity that can be slightly commercialized. At present, many developers cannot accept it. I think this is a big deficit. Raymond: We are publishers and cannot change its value but only enlarge its value. If the game is good enough, we will put its value magnified. If the game’s retention is only 10% and players’ ratting is only 3 points out of 10 points, we have to abandon it. This is our philosophy of distribution. Chen Diwen: The king of indie game is actually quality. 9Game is the game brand under Alibaba. It’s the leading Android channel in China also the gathering center of high-quality players. Relying on the kinds of platform of Alipay, UC, Wan Dou Jia and YunOS, it recommend players of “appropriate” games precisely with its big data advantage, achieved the purpose of from “person finding games” to “game finding person”. Our game Samosrost 3 won the Best Creative Game. China Joy is the biggest game exhibition in China, with attendees up to 500k from over 30 countries and reported over 1.2 million. East2west was participated in with a number of our games on B hall and interviewed by part of media. And also we co-set the exhibition stand with Tencent for game the Escapists 2 for 4 days, attracted amount of players to try out this game. China Joy has become one of the leading digital entertainment exhibition around the world, according to the tendency of world digital entertainment industry development, sponsor is keep enlarging and completing the function of China Joy as a communication platform. Except the exhibition, many game-related business and technical meeting were held at the same time. At present CJ has been a platform which is centered by digital entertainment exhibition (B2C and B2B), covers PC games, mobile games, console games, smart entertainment hardware, VR/AR, animation, film and television, internet literature and family digital entertainment, meanwhile the audience includes players, customers, game business people and developers. The 13rd iABC (International Animation & Game Business Conference) was held in The First World Hotel in Hangzhou on April 24th-27, 2017 with the theme of “Digital Innovation, Cross-border Interactive Entertainment”. It includes mobile games, game streaming organizations, Animation, IP works, VR/AR and AI, also integrate various high-quality resources of games. IABC attracted approximately 100 enterprises and dozens of industry leaders. On April 27th, the offline roadshow of “DEMO Show of S games” was held as a conference, many well-known game developers, publishers, media and the third service parties are invited. We were attended as well with our products. The 2017 Annual Partner Conference also the Golden Exclamation Mark Award was held in Nanjing. Over 100 channels, media and partners gathering to review the development of Migu Entertainment and Chinese mobile game industry in 2017 meanwhile looking forward to the next year. On this conference, the outstanding partners and excellent games were awarded. The most important part is the presentation of Golden Exclamation Mark Award. It’s the fifth year from its setting up. The source of award result is the real operation data, it’s a mirror of reflection of market to products, enterprises and platforms. We were honored awarded the Best Partner. Migu was established by China Mobile for internet industry, in charge of digital product offering, operation and service. It is the only entity under China Mobile to operate music, video, reading, game and animation, including 5 subsidiaries of Migu Music, Migu Video, Migu digital, Migu Entertainment and Migu Animation. The 1st IGS (International Game Show) was held on April 22nd 2018 for 3 days on Western China International Expo City in Chengdu. There was gathered business people and players from all over the world, the number of people was up to 95,736 and broke the record of attendees of game show in central and west region in China. It’s themed of “More Than Game” focusing to create the largest communication platform in central and west region which is led by games and covering all entertainment fields, including animation, e-sports, streaming, internet film and television, internet literature, VR/AR and etc. Invited and interviewed by vice mayor of Chengdu. We and SE interviewed by ten more media, and meanwhile let SE feel the enthusiasm from Chinese players and experience Chinese culture. The 16th Game Project Trade Fair was held by YouxiVC and LTJJC in Shanghai on July 26th, 2017. This fair invited MSY, Baidu, Xiaomi, NetEase, East2west and etc., servicing these top game enterprises which is seeking funding and resource. Meanwhile we had our own negotiating table to promote our brand. The new game reception and party was held on August 3rd 2018 in Shanghai by East2west. In the reception, CEO Qiang Qiang announced that East2west has licensed to publish the classic defense game Kingdom Rush: Vengeance of Ironhide. The CEO Qiang Qiang, VP of Business Development James Seaman, VP of Publication Ma Qian from East2west, CFO Sebastian Guadalupe, co-founder Gonzalo Sande, Producer Gabriel from Ironhide and Gu Yuan from Xiaomi was presented the reception and party. CEO Qiang Qiang shared his own experience and thoughts to the game localization, on the game Let’s Create! Pottery, based on looking up amount of profiles of pottery, he participated in the creation of the last 3 tasks of this game, also achieved the value-add and localization for this game. And the feedback from players about the design also confirms Qiang Qiang’s view on localization. Before Kingdom Rush 4, East2west has cooperated with Ironhide of RTS game Iron Marines. On launching of IM, refer to Chinese lion dancing and dragon dancing, E2W offered lots of reference materials to help Ironhide to build IM with more Chinese elements. Qiang Qiang said that this cooperation mode will be continued on Kingdom Rush 4. At the end of reception and party, CEO Qiang Qiang, developer Ironhide and representative of Xiaomi started the opening ceremony for Kingdom Rush 4 launch. After the ceremony, they gave the detailed and professional explanation for media and players. 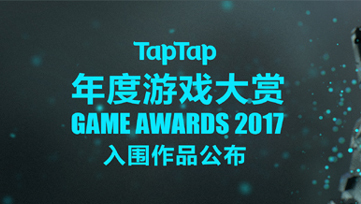 TapTap Game Award 2017 based on mobile games released in 2017, 60 million tappers’ favourites and game recognition around the world, through professional review and vote, selected the most fun game list. 40 professional judges, 32 excellent game producer, 7 top game media and streamer. Iron Marines is on the list of the award of Game of the Year, the Best Gameplay, the Best Visual. Love You to Bits is on the list of the Best Story. Mr Future Ninja is on the list of the Best Gameplay. As one of the most influential game media, Game Gyro expect to award excellent game and enterprise to encourage entrepreneurs keep progressing. After a year of development and voted by each game practitioner, Game Gyro selected several high-quality game team. East2west was awarded the 2nd Golden Gyro Awards annual new game enterprise. As a leading publisher of premium games in China, East2West Games cooperatively publishes nearly 100 world-renowned games such as the "Give It Up" series, "Iron Marines," "Samorost 3," "Granny Smith," and "This War of Mine." The Czech team Amanita Design isn't exactly a household name yet, but they certainly will be soon, with popular games such as Machinarium, Botanicula, and Samorost. Jan.16th-23rd, East2West invited the developers of Machinarium to come visit China. For the very first time, Chinese players had the chance to communicate with them face-to-face. "We are Ironhide, an indie gaming studio in Uruguay. Uruguay has a relatively small game industry with only about 3 small studios and we are the largest one." 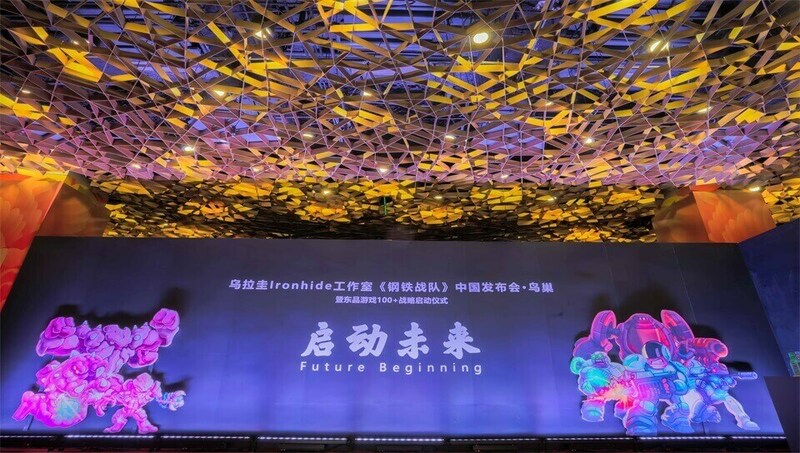 On September 5th, the conference for Uruguayan developer Ironhide Game Studio's “Iron Marines” and the Chinese launch ceremony for E2W’s 100+ Strategic ("Future Begins 启动未来”) were held in the Golden Hall of Beijing Bird's Nest. On September 5, conference for Uruguay Ironhide Game Studio “Iron Marines” in China and launch ceremony for E2W’s 100+ Strategic will be held in Golden Hall of Beijing Bird's Nest. On the evening of July 27, the reception of 2017 Overseas premium Indie Game Night organized by East2West Games ended perfectly at Shanghai Duolun Museum of Modern Art. In May 2017, East2West went to Uruguay to communicate with Ironhide Studio and other famous game studios. More of prizes! 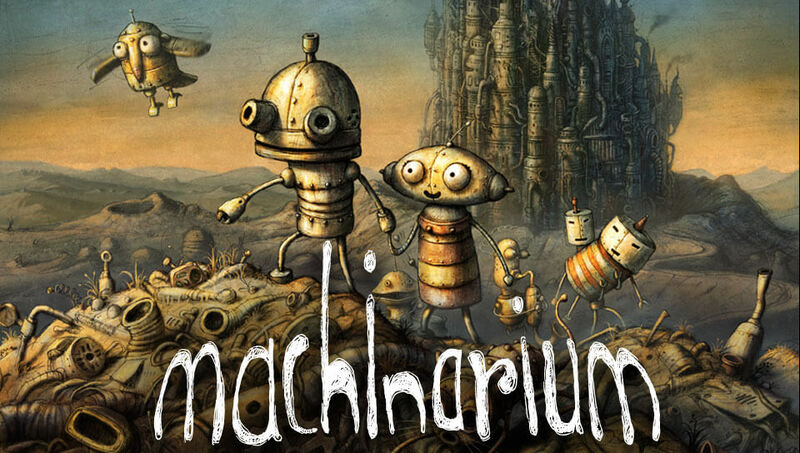 More of surprises!Developers of Machinarium will come to China for the first time. Jan.16th-23rd, Machinarium invites the developers of Machinarium to come to visit China. For the very first time, Chinese players will have a chance to communicate with them face to face. There’ll be more events, prizes, and surprises! This time, the indie-game studio Amanita Design’s co-founder, game developer and music director will come to China. We prepare not only a cultural attraction visit of China and East2West company, and also arrange a creative assembly for them. Sharing with the big names like the founder of Wikipedia, CEO of Baidu, CEO of Zhihu, CEO of Smartisan, etc., they have stories, speed, ideas, breakthrough. And we, on the other hand, will give a hand to show the beauty of the ninth art to more and more players. Besides, during the team of Machinarium’s China tour, we will organize a small interactive activity between Chinese players and developers. If you have something to ask and learn, we’ll try to meet your needs. Come for love, cheer for good game! Machinarium, the game was born in a time which indie-game’s not a popularity. And as a company that has been focusing on the introduction of overseas premium indie-games, East2west aim of exploring the classic indie-games and making Chinese players to play a wider variety of the most creative and classic games in the world. For now, East2west has signed more than 100 premium overseas games. There’re 3 of them from Amanita Design, Machinarium, Botanicula and Samorost3. As an indie-game masterpiece of puzzle adventure, Machinarium shows a world consisting of machines by 2D hand-painted style. In this dark and dirty city, everything is composed by machines and still similar to the human society with noisy living environment, serious polluted air and so on. Our hero is also a robot. He climbed out of the garbage yard and want to save his friends. Through all the difficulties, he finished his mission and fulfilled the others’ wishes. Machinarium uses the most direct way to show a world of steampunk style. For those players who interested in this kind of games, this surely to be a work of introductory course for them. East2west founded in 2010. It’s a publishing company focusing on the introduction of overseas premium indie-games. It headquarters in Xi’an, with branch offices in Beijing and San Francisco. Company orientation: Independent, PC, leisure and other types of premium game distribution, with adventure puzzle, sports racing, analog management, real-time strategy and several other product lines, such as Give it Up! series, Samorost3 , Granny Smith, Sandbox, This War of Mine and a large number of premium games loved by players. Its release product, Samorost 3’s PC version of the official landing Tencent Wegame platform, marks the official entry into the East2West PC game distribution, and in the future there are a variety of PC games on-line release. 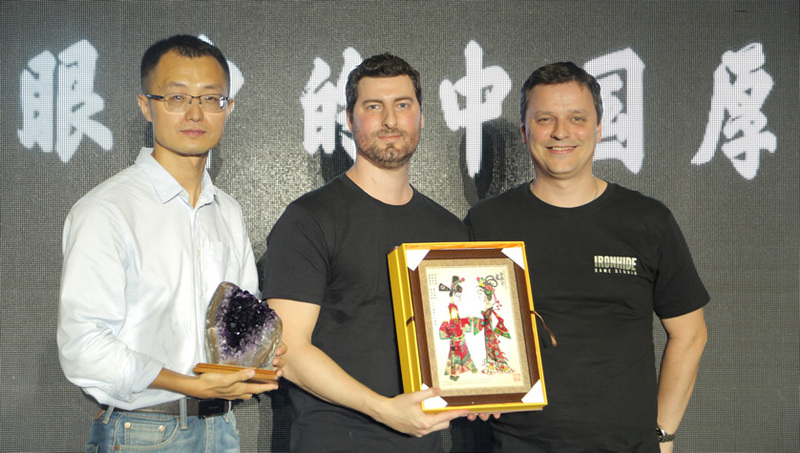 On September 5 in Golden Hall of Beijing's Bird's Nest, for the first time the founders of Ironhide, well known for “Kingdom Rush”, formally greeted domestic players. 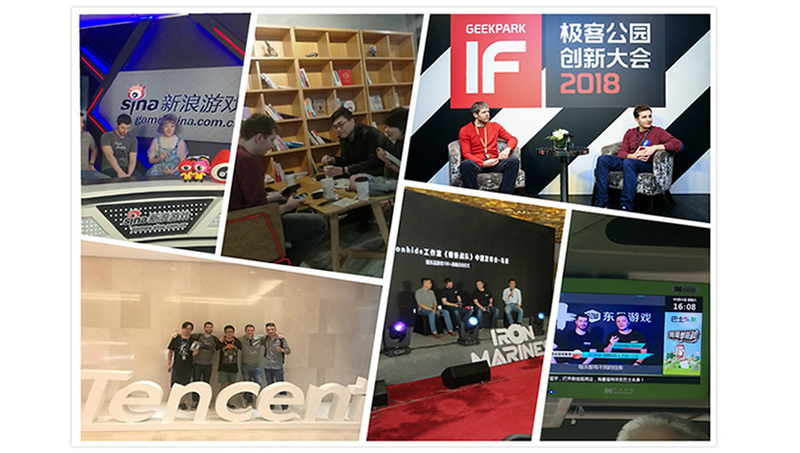 Their trip was invited by the indie game publisher E2W to participate in the launch signing ceremony of the latest RTS game “Iron Marines” in China. Uruguay is a small South American country with a population of over 3 million with reputation as a "diamond country", well known in the world for football. According to online sources, the distance from Beijing to Uruguay (capital Montevideo) is 19,149 kilometers. 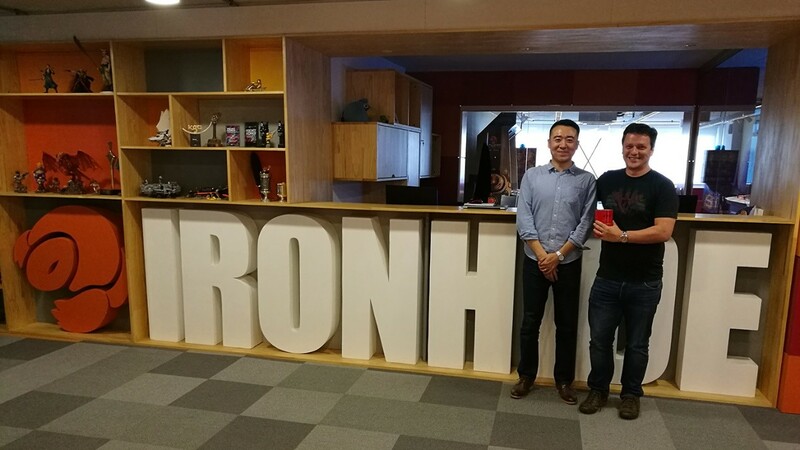 "One of the reasons why we were able to sign an agency with Ironhide was that they were really hard to find," explains Qiang Qiang (Raymond), CEO of E2W. "It took a lot of time just to get a visa and our overseas business manager flew 40 hours before arriving in Uruguay." The implication is very simple: small companies have more freedom, while the big manufacturers subject to the system and process, having difficulty in introducing overseas indie games. Raymond mentioned that he had visited a development team near the Arctic Circle in Russia and took another 30 hours from Russia to the company. "These are the things that our small company can do." E2W has successfully grabbed some of the opportunities by virtue of its keen awareness and accumulated 7-year experience in the field of indie games. The company also took advantage to launch the 100 +Strategy, and announced that signed indie games have closed to 100 titles. Change target after the "trade deficit"
A good and bright time usually comes after hardship. "In our hardest times, only two people and 50 thousand RMB in our company and it could not take a place in Beijing, and then we returned to Xi'an for survival, a relatively low-cost place." Raymond recalled the downturn of the company with the grateful tone for that precious experience. E2W has become associated with indie games for almost 7 years. In the first two years its strategy was to distribute China's indie games to the rest of the world. As the domestic market was getting bigger and bigger, at the same time, they also found that there was a "trade deficit" at home and abroad in indie games, and that the quantity and quality of domestic indie games have large gaps with that of foreign countries. "For this reason, we've reversed our business," Raymond said. He clearly realized that this cannot be done at one go. "We must first identify our own position and not be anxious to succeed at once. The most popular and profitable projects have already been taken over by the large manufacturers." E2W chose to start with the niche. Raymond believed that in other various niche categories, demand of the players were often overlooked. "I started playing games from the 1990s, especially the puzzle games. The reality was that players wanted to play the high-quality and top puzzle games, which was very rare in the market." From the beginning of the puzzle games, E2W adjusted the business focus, and gradually from the niche to a wide range of game agents. Raymond quoted "Diversity is essential to happiness" said by famous philosopher Russell to express the company's distribution philosophy, and analyzed that "all types of games are very interesting, as a publisher, so we have an obligation to bring these interesting games to the country." After establishing the target, it took another several years for E2W to find its own "temperament." Here, "temperament" can be understood as "Personality Adjustment", but also an important manifestation of the company's philosophy and purpose. Quite simply, as a publisher, E2W needs to maintain a double tacit understanding and reaches a high degree of agreement with the indie development team - from the spirit to the attitude toward the localization of distribution products. Ironhide said in an interview, "Iron Marines" is an orthodox single RTS game and will not temporarily add multiplayer networking mode expected by players”. Naturally, E2W reached a consensus with Ironhide production concept, which was one of the important reasons to chime in easily. During ChinaJoy this year, E2W held "Overseas Artwork Show and Party" at the Shanghai Duolun Museum of Modern Art. The party was an art-full gallery. In such an open space, guests could enjoy the "Machinarium", " Samorost3" and other quality original painting of the indie games and the game history. In the country's numerous game market, this party is like a clean stream, but also a useful complement to E2W’s "temperament". The highlight and landmark game for E2W: "Iron Marines"
After launch of "Iron Marines", it not only received a high feature of App Store's and got nearly 2,000 5-star praise in a day. At the same time, there are players who are dissatisfied with the IAP of the game. Raymond explained that we always maintain the agent principle: as much as possible to ensure the authentic, because E2W is a distributor not a developer. "We will maximize the value of the game. On the one hand, from the art to gameplay, the Chinese version is the same with the English version. On the other hand, we try our best to ensure that its profit point is the same with the original version, in the premise to reserve the gameplay." However, faced with the situation for the domestic channels, the Android version of "Iron Marines" will make some changes. In addition that Huawei's app market and TapTap support paid downloads, 90% of Android channels do not support paid downloads, so Android version of "Iron Marines" will take a free trial and then need payment to unlock all contents. Raymond added that “Ironhide is more concerned about piracy, anti-piracy SDK will be added and PC version will be released in the future." In the face of various variables that may arise in the future, Raymond said that at present indie games have better opportunities for survival and development. The company got its first invest in April this year and will finance the second invest by the end of November. "First, we have no worries about capital for the moment." Raymond said. "Third, it’s the accumulation of technology," Raymond said. "We contacted with a large number of overseas teams and employed several groups to conquer their source codes. We are now deeply involved in and lucubrate the technology and codes of foreigners. Basically, we can understand very difficult codes quickly." "Everything we do is to achieve the best possible standards," Raymond finally concluded. "As far as I know, we are the first Chinese company to visit Ironhide," Raymond said. "Iron Marines" is just a new dawn for E2W in the indie game, but the pursuit of success will not stop. On September 5, conference for Uruguay Ironhide Game Studio “Iron Marines” in China and launch ceremony for E2W’s 100+ Strategic ("Future Begins 启动未来”) were held in Golden Hall of Beijing Bird's Nest. More than 100 domestic media, channels and dozens of games Industry guests and loyal players attended and participated in this release event. At the press conference, Alvaro and Gonzalo, two founders of Ironhide in Uruguay, respectively introduced the RTS game “Iron Marines” and announced strategic cooperation with E2W. E2W will be responsible for the game release in China. In the launch ceremony for E2W’s 100+ Strategic, Qiang Qiang (Raymond), CEO of E2W, said the overseas quality and top indie games the company has contracted have closed to 100 titles. “Iron Marines” is a real-time, dynamic and deep strategy game that will transport you to amazing and unknown planets. Recruit and train the greatest heroes in the galaxy, lead them into dangerous missions against near impossible odds and unleash their mighty powers and abilities. Adapt your strategy by changing the role of your troops even in the thick of the combat, from ranger to sniper, from flamethrowers to missile launchers. Turn the tide of battle with bomb strikes, intelligent mines, support troops, turrets and a wide range of special weapons. 9 Heroes with outstanding powers at your command. Train them to their full awesomeness or annoy them at your own risk. As the China's distributor for the RTS game “Iron Marines”, CEO Raymond said that the company will focus on resources to promote the game distribution. At the same time, he also announced that the company has signed nearly 100 overseas indie quality games and formal launched game plan of 100+ Strategic. In the future, it will cooperate with more overseas well-known game companies to introduce more and better Indie game masterpieces. Now E2W has covered various types of products including AVG, SPG, SIM, RTS and several other indie games and successfully issued dozens of games in the country with a total of over 100 million users. The famous titles include: “Give It Up” series, “Samorost3”, “Machinarium”, “The Sandbox”, “This War of Mine”, etc. 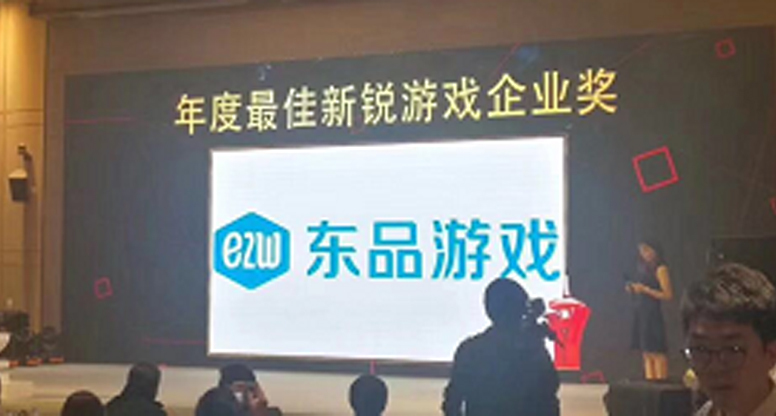 With E2W’s high-quality of products, there are 20 titles to reach cooperation with Tencent. At the same time PC version of "Samorost3" will land Tencent WeGame platform this year, marking E2W’s official entry into PC game distribution. There will be a variety of PC games on-line release in the future. On September 5, conference for Uruguay Ironhide Game Studio “Iron Marines” in China and launch ceremony for E2W’s 100+ Strategic will be held in Golden Hall of Beijing Bird's Nest. 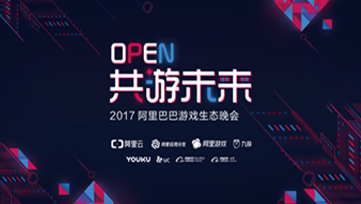 Two founders of Ironhide will also come to China to attend the conference and give the game presentations and development story sharing. In addition, the latest game demo experience, interactive lottery and game gifts will be also arranged on the site. If there are players who want to participate in the E2W conference on September 5 [Beijing Bird's Nest], please leave your messages in WeChat Official Account [east2westgames]. On the evening of July 27, the reception of 2017 Overseas premium Indie Game Night organized by East2West Games ended perfectly at Shanghai Duolun Museum of Modern Art. The event coincided with the China Joy game show, the site really spectacular. Nearly 500 domestic and foreign game companies’ directors, game-related practitioners attended the scene. Including East2West game CEO Raymond Qiang, vice president of MI Entertainment Cheng Jun, well-known overseas game company Square Enix, 11bit and other directors give a wonderful live speech. Everyone not only can exchange of industry perspectives and product information, but also further communication and started the future cooperation on the premium game intent. In addition to sharing and sharing, the event also arranged for dozens of quality video game products and demo experience, attracting a large number of industry players to participate in the crowd. In addition, the 4-day DA International Digital Artist Exhibition is also on display at Shanghai Duolun Museum of Modern Art. This art exhibition is sponsored by MOWU Culture (Xi'an MOWU Network Culture Communication Co., Ltd.) and co-organized by East2West. It displays a total of nearly 100 game art works. 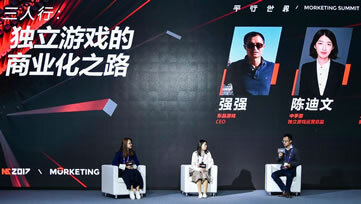 In the sharing session of the event, East2West CEO Raymond Qiang reviewed the history of the company and expressed optimistic about the future development of the domestic game market. As a publishing company that has been deeply involved in indie games, so far, East2West has released more than 200 domestic indie games and brought nearly 70 overseas premium games with offices in Beijing, Xi'an and San Francisco. Cheng Chun, vice president of MI Entertainment shared some game information as a channel of identity. He talked about MI's view on indie games and overseas premium games and showed the future growth opportunities with specific data. At the same time, he expressed that he will step up support and will cooperate with East2West to bring more and better overseas premium games. As a senior gamer who has been working in the game industry for 32 years, VP James of East2West also expressed his opinion on the development of China's game industry. He believed there’s still tremendous growth potential in the future. He joined the East2West just because the passion and ability which it brought to him. He hoped he can bring the top game of the world to China with the whole team. Fabien, director of business development from Squre Enix, a world-renowned game company, shared the corporate strategy and product idea of SE on the site and focused on 3 games that he co-operated with East2West: Hitman Go, Hitman Sniper and Deu Ex Go, he also expressed the hope that there’ll be more SE games were introduced to China. 11bit, a well-known game company that received extensive attention due to "This War of Mine," also came to the site for sharing and conducted product exchanges with many domestic developers. Karol, head of 11-bit marketing, shared 11-bit success stories and said he insisted on doing the games he’s willing to play,because that would be different and excellent. And the game" This War of Mine " is derived from their heartfelt thoughts. As a publishing company focusing on the introduction and agency of overseas boutique games, East2West is devoting itself to exploring the most exclusive overseas indie games and do the localization to enhance the gaming experience, reducing the threshold for domestic players to get started with overseas classic games. Eventually, so that domestic players can play a wider range of different types of the world's most creative classic games. In the next time, the East2West game will bring more and better premium games to Chinese players with both domestic and foreign partners. East2West is a leading publisher focusing on helping great overseas games get successes in China. It headquarters in Xi’an, has branch office in Beijing, San Francisco. It published dozens of games in China, and established a 100 million fan base. They have numerous qualified and popular games such as Give it Up series, Machinarium, Samorost 3, Granny Smith, Sandbox, This War of Mine. In addition, the company has released nearly 20 games on Tencent platforms, making East2west the largest publisher on WeChat Games and QQ Games. At the same time, Samorost 3 PC version was published this year on Tencent’s PC platform, WeGame, marking its first step into PC game distribution. There will be more PC games from East2west to be released on PC channels. Electronic games are the contradictory complex of art forms and economic industries. They are also one of the richest cultural types in human society. They involve a wider field of knowledge including sociology, psychology, history, art studies and new media. With the continuous integration and upgrading of the video game industry, the industry and the audience have higher requirements and expectations for the artistic quality of the work. DigiArtist2017 International Digital Art Exhibition will be through those "temperament games", to the audience to express the creators a deeper artistic pursuit, and for these artists to focus, so that their artistic value and ideological content to be reflected. DA International Digital Art Exhibition is sponsored by MOWU Culture (Xi'an MOWU Network Culture Communication Co., Ltd.) and co-organized by East2West. With the theme of games, the exhibition invites 14 domestic and overseas games to be exhibited. The scenes and roles in the game design have been reconstructed to create 59 exhibits including paintings, videos, installations and peripherals. This exhibition focuses on the excavation and interpretation of the value and ideological connotation of the game. For the first time in the global industry, it presents a deeper level of artistic appeal to creators with new exhibition forms and perspectives. We hope that through our efforts we will change society's prejudice and misunderstanding of this emerging culture. In May 2017, East2West went to Uruguay to communicate with Ironhide Studio and other famous game studios. As early as before, with strong strength in the domestic game distribution field, East2West has reached a preliminary agreement with Ironhide Studio. And through this visit, they mainly exchanged the similarities and differences between the Chinese market and foreign markets, on how to make its new game Iron Marines to get maximum promotion in China. In addition, the two sides also reached a strategic cooperation agreement. If you haven't heard of this Ironhide Studio, you must familiar with their work Kingdom Rush. This top game in TD was so famous that won the applause once has launched. It also achieved an amazing results on IOS and android platform. With the achievements of this work, the developer of the game Ironhide Studio has quickly become one of the famous game developers in the world. Many well-known domestic manufacturers are undoubtedly curious about this Ironhide Studio. But they still stick to their work and has developed another premium game, that is Iron Marines. But they in such a big halo can persist, efforts to develop another boutique game " steel team". Iron Marines continued the high recognition game style of Kingdom Rush and also joined the space fantasy RTS. It received global recommendation in App Store and Google Play when first launched. It won tens of thousands of 5-star rate in app store China. Who would have thought that this RTS epic magic game is created by a group of 30 people. Although their numbers are small, they have a great passion for the game, work hard at every detail and love their game, says the founder of Ironhide Studio. In the end, East2West and Ironhide Studio reached strategic cooperation, East2West said, they will fully assist the distribution of Ironhide Studio game products, to enrich the diversity of China's game market to provide a strong boost. The name of the Czech team amanita design isn't mentioned many times, and it's not easy to remember, but you'll have a lot of admiration for their popular games such as Machinarium, the Botanicula, and the Samorost. Each of their works fascinated the players, domestic players are amazing in the game is beautiful, delicate and bright art foundation. Fortunately, on January 16, 2018, E2W invited Amanita Design to visit China. Raymond Qiang, the CEO of the company and other members of the company had in-depth discussions with developers on the current situation and future development of the game industry. In addition, E2W took them to the great wall and the Forbidden City, visit shopping paradise Wangfujing and many other famous attractions. These landmark which representing China, undoubtedly amazed developer, Jakub Dvorský who came to China for the first time, at the depth and breadth of Chinese culture. At the same time, they said they would integrate what they have heard and heard in China into future game creation and increase the diversity of the game. 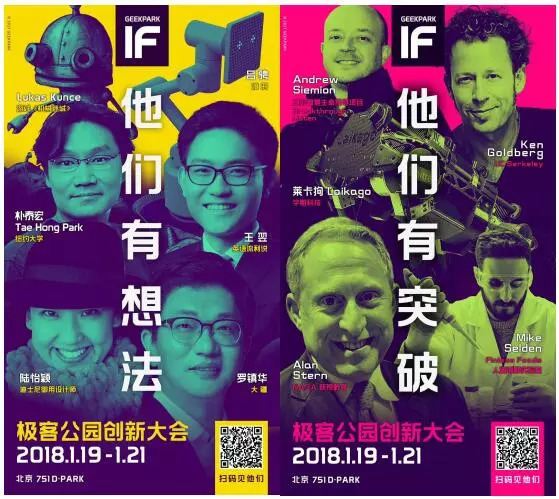 In addition to visiting Beijing, the E2W invites Amanita Design to attend the Geek Park innovation conference. As a focus zone on the internet, the Geek Park tracking the latest scientific and technological developments, focusing on innovative technology products entrepreneurial community which has great influence both at home and abroad. 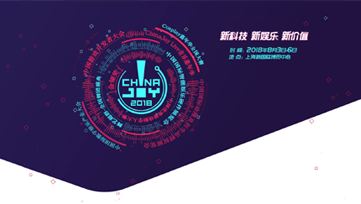 The annual innovation conference is to invite top guests at home and abroad to express their views on the future development of internet and other industries from a multidimensional perspective, and is one of the most influential products in the capital of China. 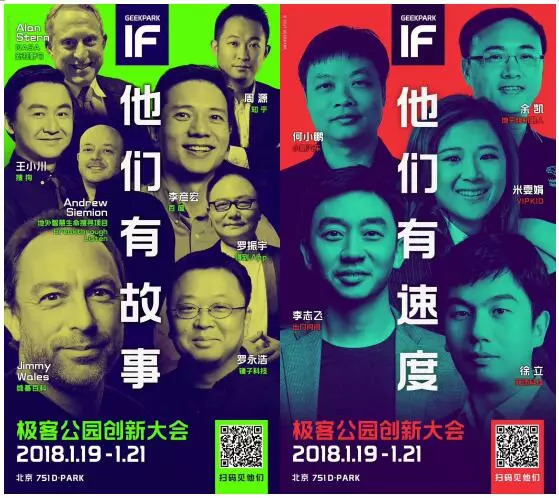 At the Geek Park innovation conference, Amanita Design’s developer Jakub Dvorskýshared with Wikipedia founder, CEO of Baidu, CEO of Zhihu, CEO of Smartisan and other superstars. For the first time, Chinese users were told the origin of the game concept of " no dialogue, no story" and the new perspective that they wanted to break away from the concept of game and time in game innovation. They wanted the game to look like a new game at all times. In addition, Jakub Dvorský has exclusively declassified some of the unknown stories of Amanita Design since its inception. Notably, more than 1,000 people listened to Amanita Design's speech at the Geek Park entrepreneurship conference, including top domestic and foreign well-known enterprises in addition to the superstars, as well as domestic media and many domestic players, after the meeting, several domestic well-known media said they are interested in the game studio from the Czech Republic, hope to be able to interview this mysterious group. As Amanita Design’s partners in China, E2W arranged for 10 well-known media interviews due to the limited time. Mainly around the developers themselves, and the development of the Chinese market to carry out interviews. Developers say this is the first time they've had a focused interview with so many Chinese media, a face-to-face communication model that allows them to feel China's passion for their games and make them more confident that they can play the game well and share it with Chinese players. As a leading publisher of premium games in China, E2W cooperates nearly 100 world-renowned games such as "Give It Up" series, "Iron Marines", "Samorost 3", "Granny Smith" and "This War of Mine". It has always been committed to providing high-quality and premium games for global players. The company not only has a complete set of promotion mechanisms for game distribution, but also regularly invites cooperative developers all over the world to visit China, arranges media interviews and participates in major event sharing campaigns, etc., actively helping partners to promote their brands and expand their influence in China. After signing successfully the games, E2W will tailor promotion programs suitable for the games, actively prepare the games to participate in various types of Chinese game expos, organize players’ activities and arrange user experience, to accumulate and keep the users and publicity effects. China has more than one professional game expos each year. E2W will focus on all kinds of large-scale game events and will make special preparations according to the game features. For example, Overseas Artwork Show and Party in China Joy hosted by E2W invited industry practitioners both at home and abroad to participate in the party and indie game art exhibitions. In addition to promoting the brand of the company, players and games are closely contacted to help our company better understand the needs of best and moderate players and maximize the effect of the game while accumulating and keeping users. The help of media promotion is also E2W’s strength. E2W not only has rich media resources and relationships, but also has the propaganda and cooperation of China's Internet celebrities and network anchors of webcasts. After media exposure of game news, E2W will arrange for the Chinese media to interview partners about production experience and growth story, to help developers expand influence in China. "Iron Marines", Leading RTS Mobile Games, Won the 2017 Golden Tea Award for "Best Indie Game"
On January 18, 2018, hosted by the Game Teahouse (游戏茶馆), the fifth award ceremony for the "Golden Tea Award" had great success at the Chengdu Hilton Hotel. 2017 MIGU mutual entertainment partners’ conference successfully ended,East2West won the “Golden Exclamation Mark Award"
On January 12, the 2nd Golden Gyro Awards held by YOUXITUOLUO and VR TUOLUO in Shenzhen Kexing Science Parke ended successfully. On January 18, 2018, the 2017 MIGU Mutual Entertainment partner conference and Golden Exclamation Mark Award ceremony held by MIGU interactive entertainment co., ltd ended in Nanjing. 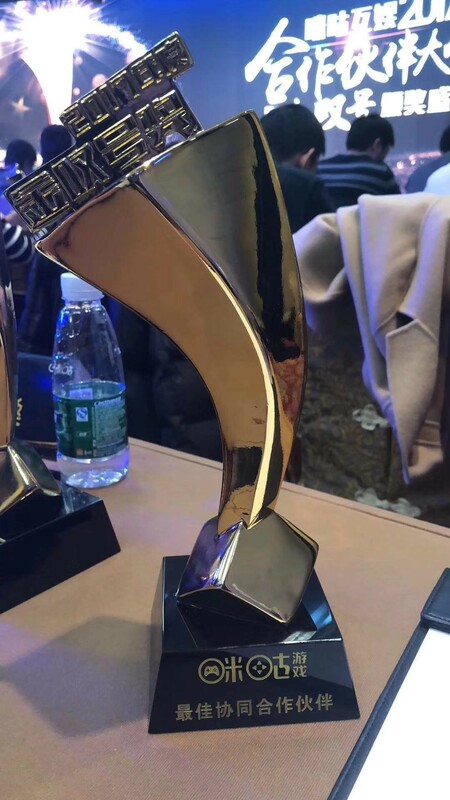 With good reputation and excellent service, East2West, a well-known domestic publisher, has won the award of “Best Cooperative Award" from many enterprises. At the conference, our company won the “Best Cooperative Award " issued by MIGU Mutual Entertainment. This honor is the recognition and affirmation of our company, the representatives of both sides said that they will ride the wind and waves, achieve success together! This time, our company won the "Best Cooperative Award ", will encourage us to continue to adhere to the “synergy to create value", in order to focus on overseas premium games and ingenuity, for enterprises, the whole game industry to create greater value. More than dozens of well-known game publishers, content providers and industry media were invited to attend this conference, and award this "Golden Exclamation Mark Award". As a sponsor, MIGU Mutual Entertainment has been committed to providing partners with comprehensive platform services such as open and professional product introduction, channel distribution, in-depth operation, marketing promotion and data support. In the past year, the products of the East2West have entered the PC platform. This means that our company is still explore new breakthrough in pursuing overseas independent fine products. In terms of games, dong pin games and MIGU mutual entertainment will also continue to carry out in-depth and friendly cooperation, the two sides will continue to support each other and make progress together. 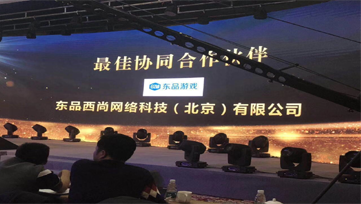 On January 12, the 2nd Golden Gyro Awards held by YOUXITUOLUO and VR TUOLUO in Shenzhen Kexing Science Parke ended successfully. At the ceremony that night, East2West won the award of the New Game Company of the Year. As famous publisher in game industry, East2West shows its powerful forces. YOUXITUOLUO was established in 2010, it’s the earliest website focusing on the mobile game field and also one of the best-known game media. YOUXITUOLUO insists on focusing on the “pan games” industry, it’s aimed at serving game entrepreneurs, monitoring the dynamics of global mobile games and deeply exploring industry information. 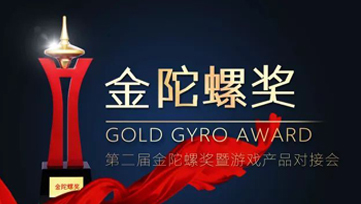 The 2nd Golden Gyro award and docking game games which sponsored by YOUXITUOLUO, VR TUOLUO, TUOLUODIANJING and co-sponsored by Nanfang Metropolis Daily co-sponsored will be held in Shenzhen Kexing Science Park. Activities will aim at mobile games / H5 games / VR / AR and other product projects, provide better channels of cooperation for game companies. East2West was awarded this award “New Game of the Year “title by YOUXITUOLUO for its contribution to the game industry in 2017. Since its establishment in 2010, East2West has kept much lower profile than the popularity of its works. 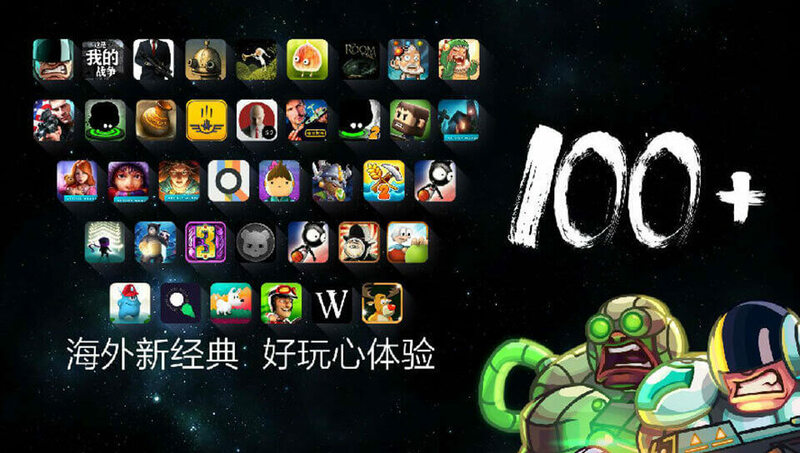 After 8 years of settling down, the company, pursuing an idea of "Ingenuity Creating", with its unique opinion on the entire game market and its dedication to overseas premium games, it announced at the company's conference "East2West Game 100+" Bird's Nest Station, which has signed nearly 100 overseas premium indie games. It will cooperate with more overseas well-known game companies in the future in order to introduce more and better indie games. East2West CEO Raymond Qiang joins hands with overseas famous developers. As far the portfolio of East2west Games game has covered so many categories, such as adventure, hidden objects, sports racing, simulation and business, real-time strategy and several other indie game product line. The company published dozens of games in China, and established a 100 million fan base. They have numerous qualified and popular games such as Give it Up series, Machinarium, Samorost 3, Granny Smith, Sandbox, This War of Mine. In addition, the company has released nearly 20 games on Tencent platforms, making East2west the largest publisher on WeChat Games and QQ Games. At the same time, Samorost 3 PC version was published this year on Tencent’s PC platform, WeGame, marking its first step into PC game distribution. There will be more PC games from East2west to be released on PC channels. In future, East2West will continue to focus its attention on overseas premium games, increase market penetration, expand its global presence, focus on user experience, create more premium mobile game, and become a leading domestic and overseas game publisher with successful games And operating experience of the company. On January 18, 2018, hosted by the Game Teahouse(游戏茶馆), the fifth award ceremony of "Golden Tea Award" got a great success in Chengdu Hilton Hotel. 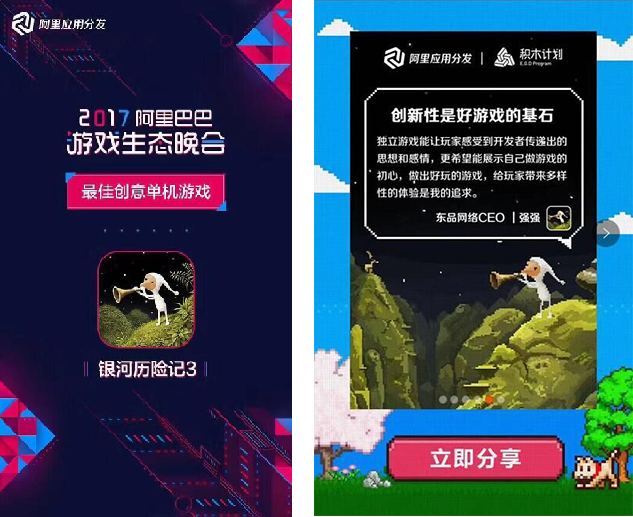 On the ceremony scene, developing in the subdivided areas, E2W’s agent product "Iron Marines" by virtue of breaking the mobile RTS blank, won the "2017 Best Indie Game", showing E2W impressive strength in the domestic game publishing field. The Golden Tea Award is sponsored by Game Teahouse and is an annual selection event for Chinese game enterprises and products. This Golden Tea Award will continue in the principle of fair and equitable evaluation. 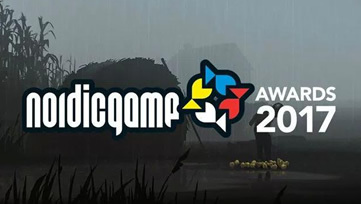 Ten awards will be selected by the majority of game enthusiasts and game industry insiders. The selection results are highly objective and professional. In the "Indie Games of the Year" with exclusivity, E2W won the prize and stood out from a number of game companies, which fully demonstrated that E2W are unique in introducing indie games from overseas markets, and further illustrated the players and the industry's affirmation of E2W’s distribution strength and mode of operation. E2W with strong distribution strength and refinement of the operation, has gradually become the well-known domestic distributor. Developing in the subdivision field, it has introduced popular high-quality mobile games for a large number of players, with the billions cumulative users. In addition, E2W successfully held the "Overseas Artwork Show and Party”, “Beijing Bird's Nest Conference for E2W’s 100+ Strategic" and other activities. The award-winning "Iron Marines" is one of the important product layouts for E2W in RTS mobile games. It has also become a current popular game, which is deeply loved by players. With the universal popularization of the Internet in our country and the high popularity in the mobile market, the activity of gamers in the mobile market overturns the current status quo in the game industry. E2W is devoted to introducing overseas premium games so that Chinese players can experience the most classic, fun high-quality products. Because of its strong distribution strength and good reputation both at home and abroad, the layout of E2W products in the overseas market is improving day by day. In the future, it will also enter the countries and regions that have not been explored in the world and constantly expand overseas markets with a view to introducing more and more interesting overseas games. In addition to deepen subdivision field of the mobile market, E2W will start the PC-game distribution. In 2017 E2W released PC version of "Samorost 3" which official entered Tencent WeGame platform, marking the beginning of PC game distribution. In the future there will be a variety of PC games released online.